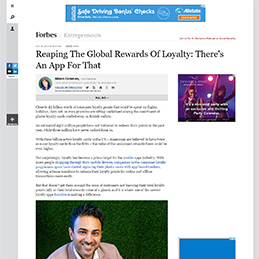 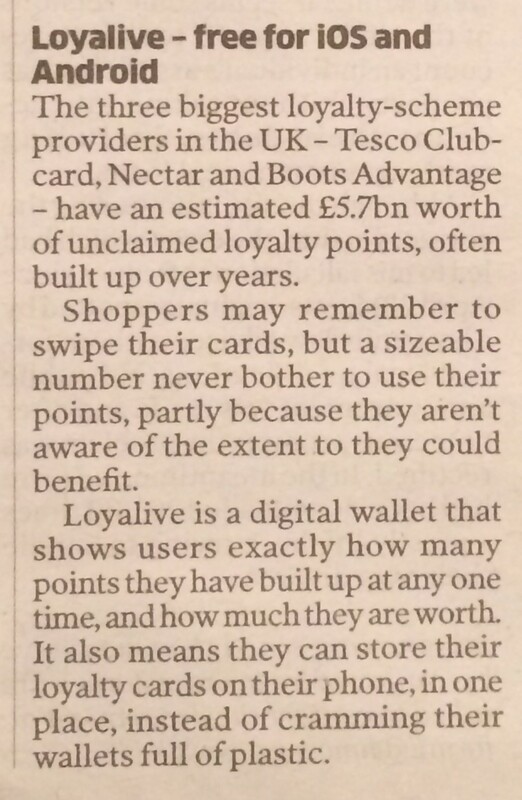 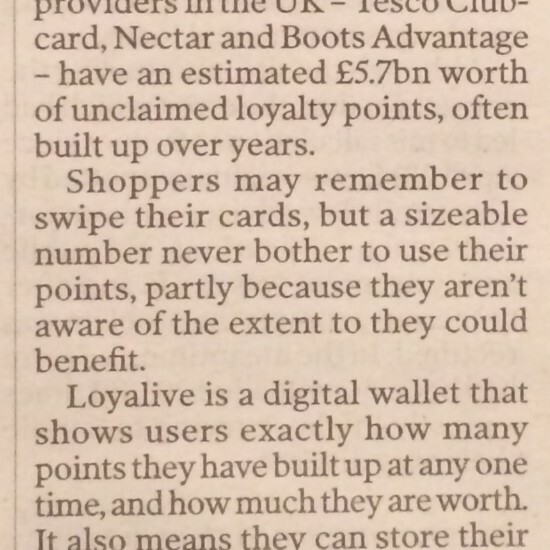 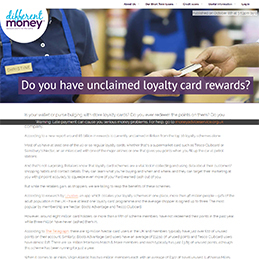 To achieve widespread coverage announcing the availability of a free app, allowing users to track all their loyalty points without having to carry cards in their wallets ever again. 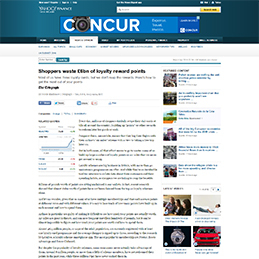 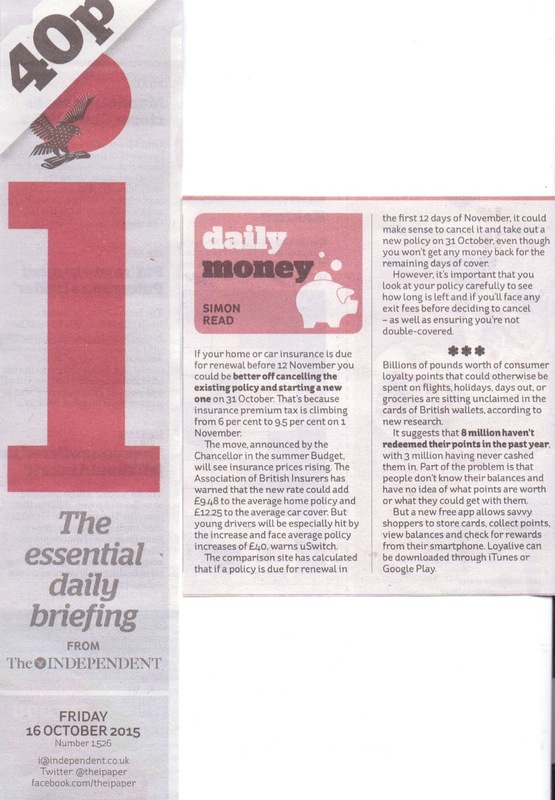 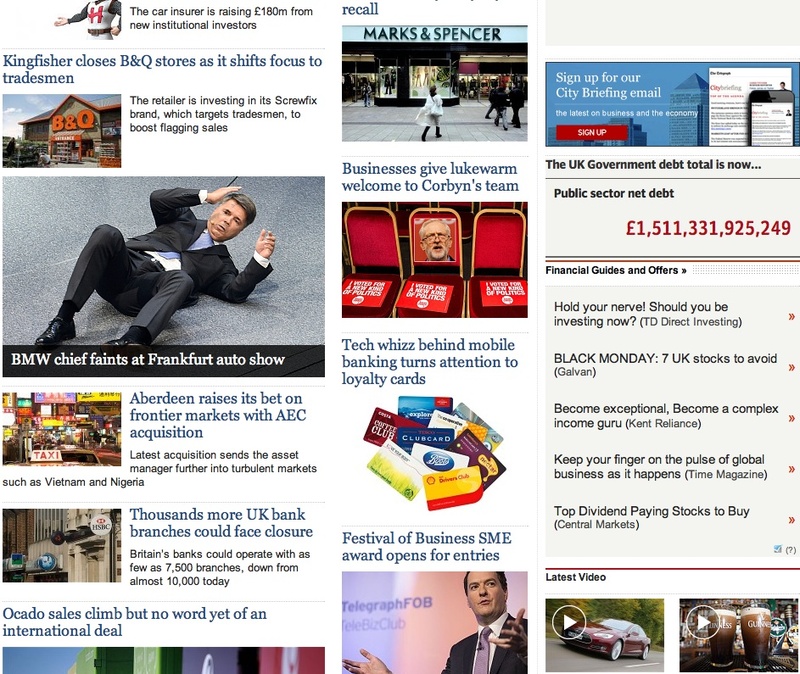 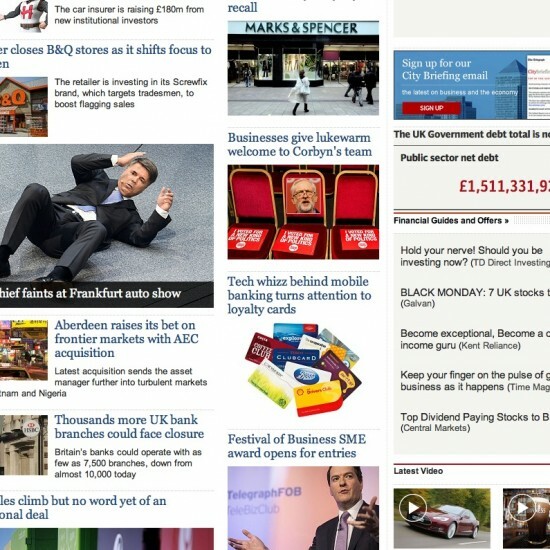 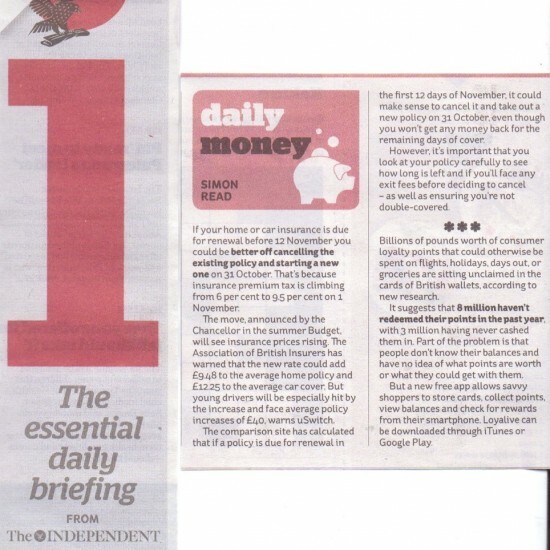 Extensive and wholly positive coverage in all money and personal finance pages of national newspapers, in addition to broadcast. 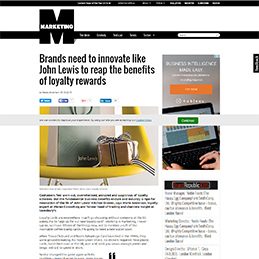 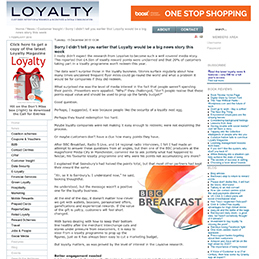 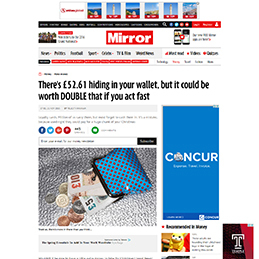 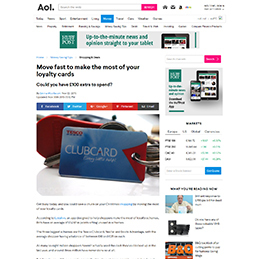 Using credible research, Meerkat PR explained to the press, the need for consumers to keep control of their loyalty balances, with more than £5 billion sitting unclaimed across the UK’s top loyalty programmes. 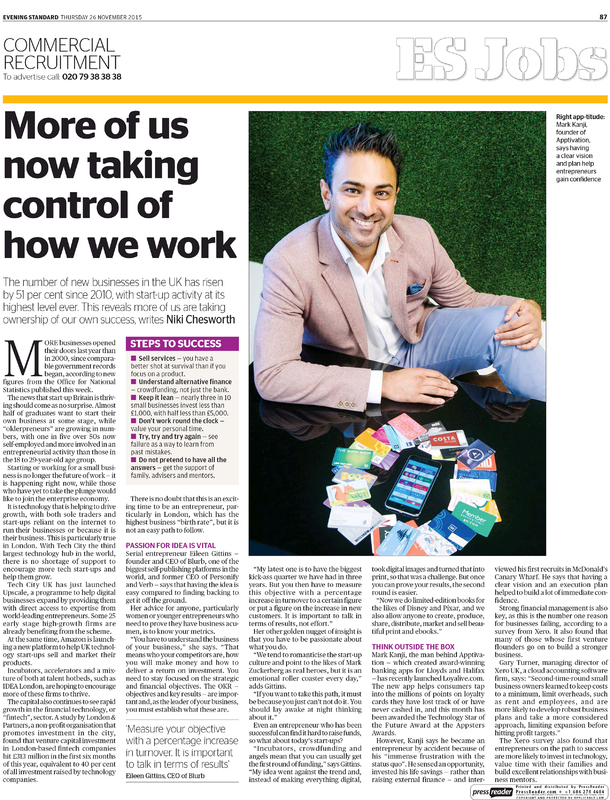 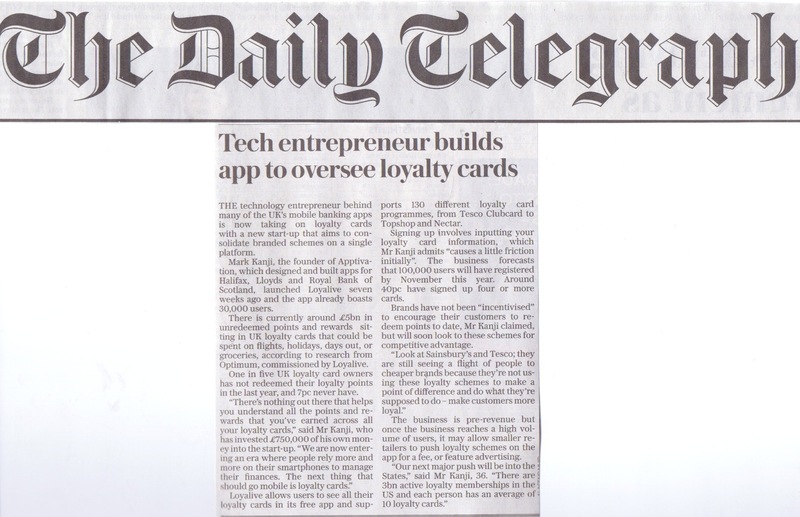 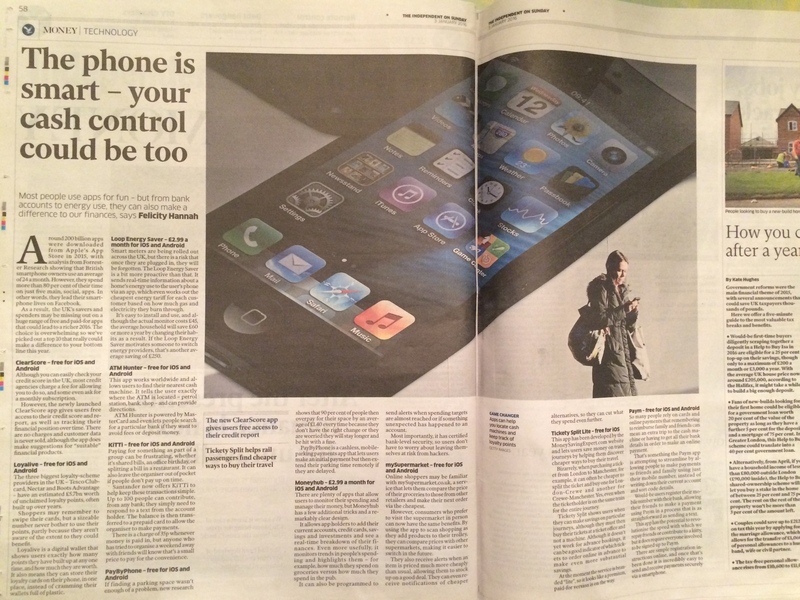 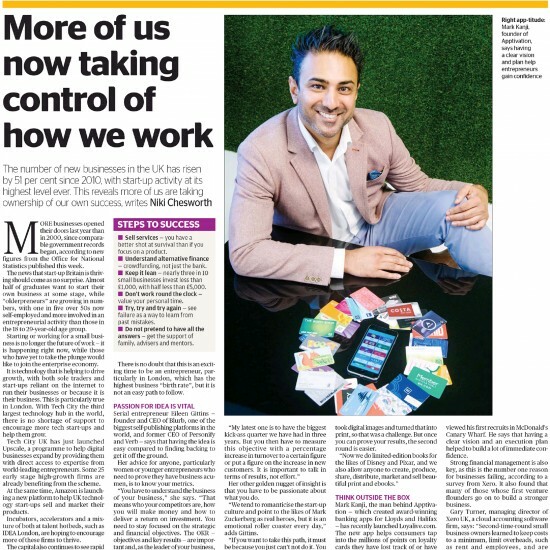 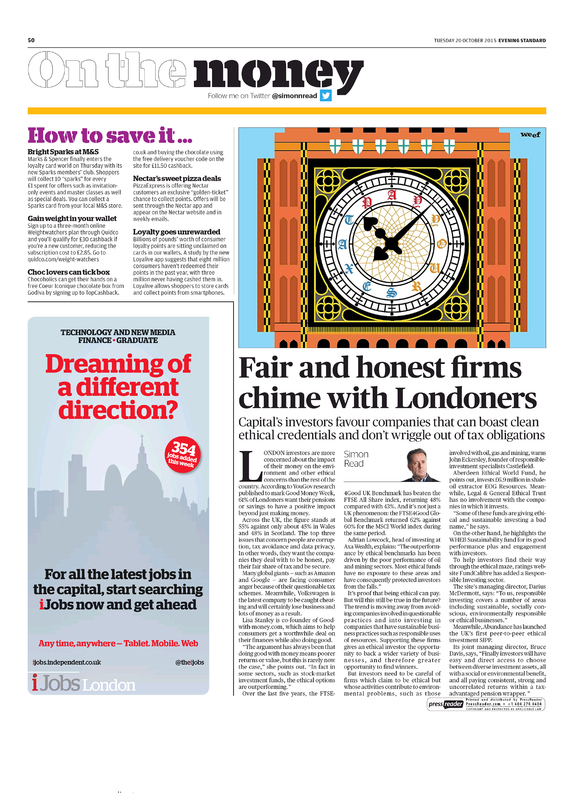 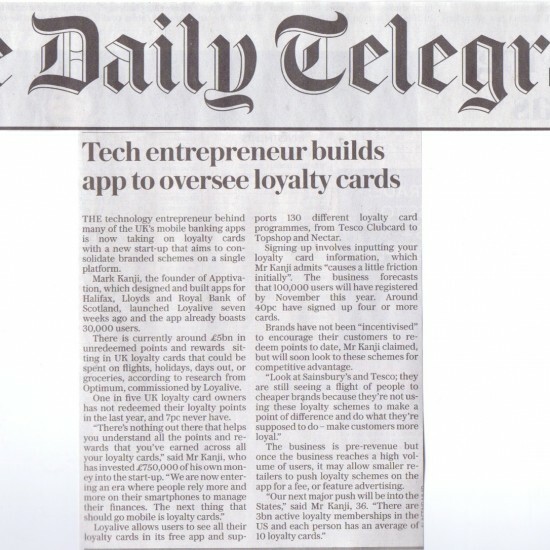 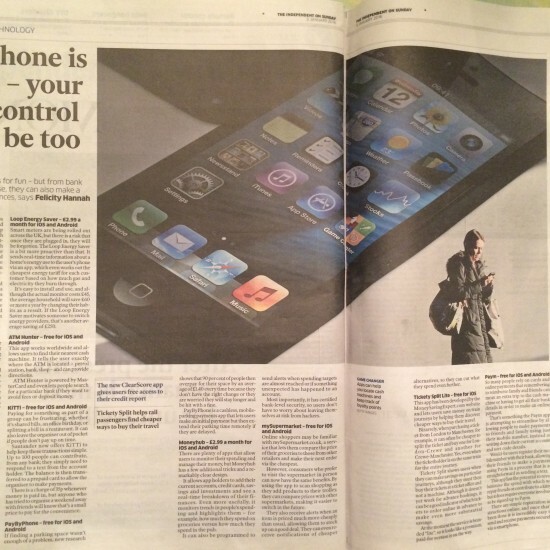 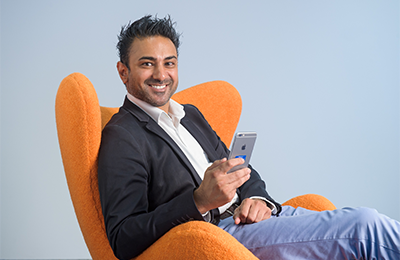 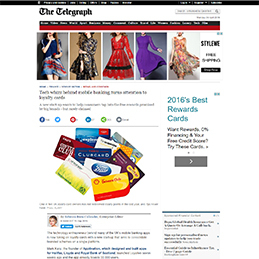 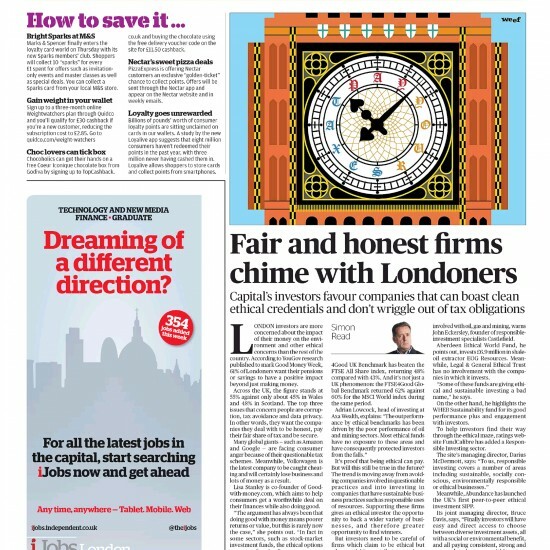 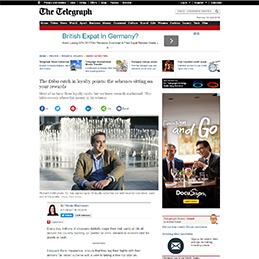 The strategy further saw coverage on the entrepreneur behind the company profiled in high valued media slots, such as a full page in the London Evening Standard, supporting his drive for investment.